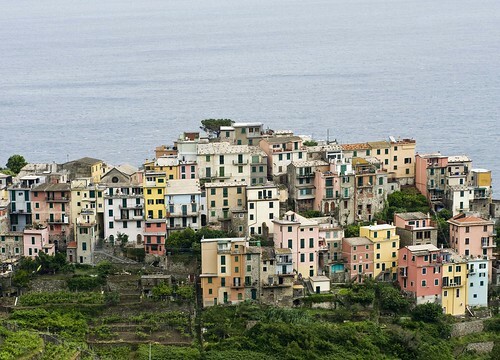 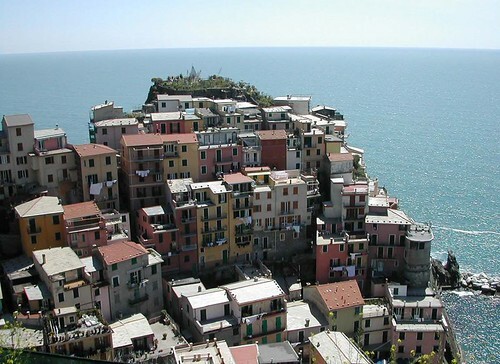 The villages are famous for multi-coloured terraced houses on rugged and steep hills stretching upto deep cliffs overlooking the sea. 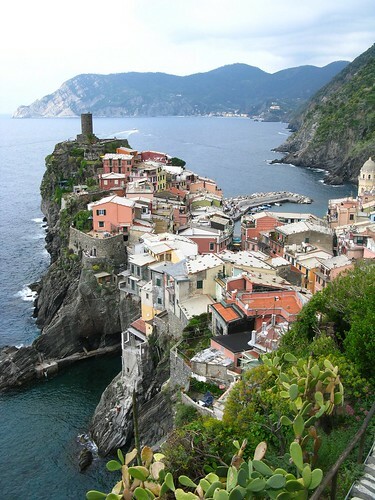 These also have another unique feature that none of the villages have any motorable connection with outside world and are accessible only by train or boat or through hiking trails. 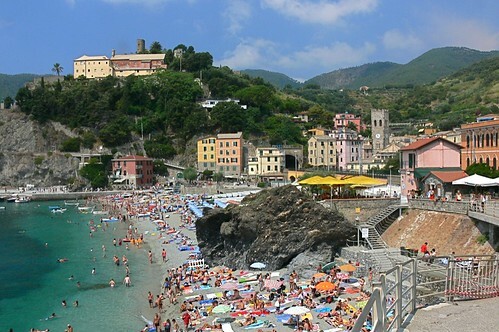 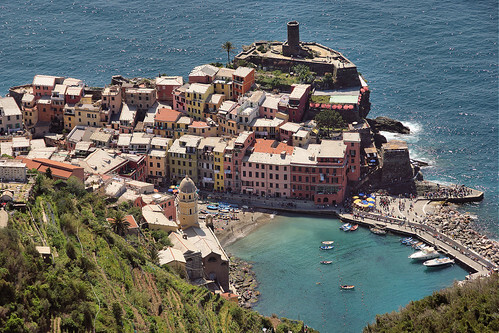 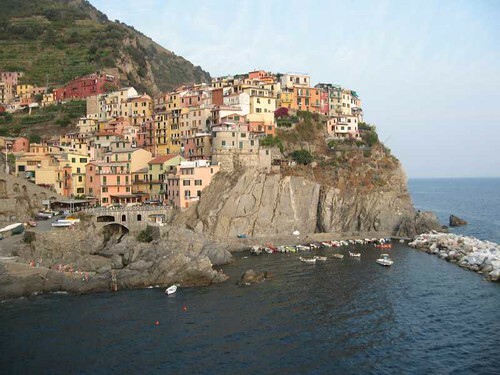 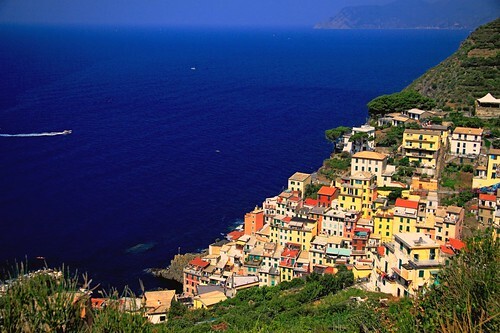 In order to protect the natural as well as architectural beauty of the region the whole area has been declared as "The Cinque Terre National Park" and is also a UNESCO World Heritage Site. 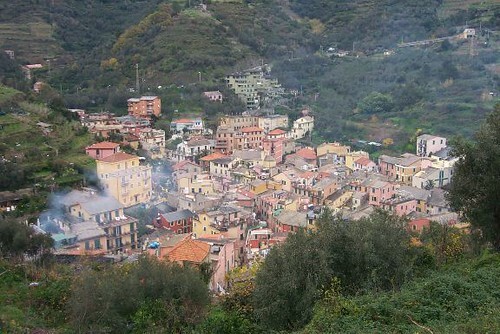 Here are few images of these towns. 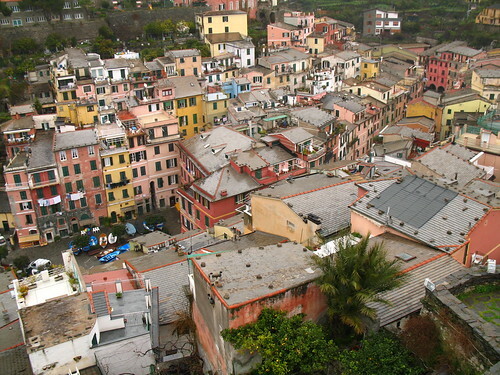 ( in my signature ) and to the blog where you can also vote the nicest of the 5 Terre. 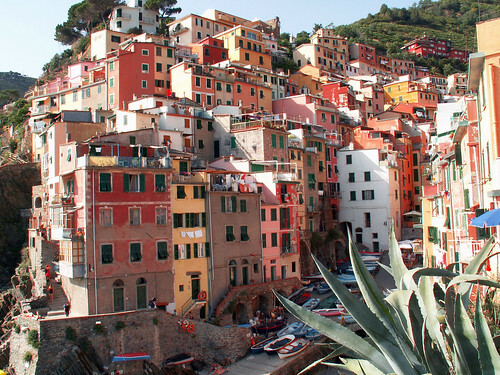 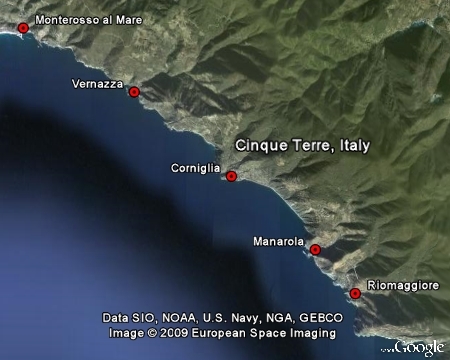 Also a video section is online: Video of the Cinque Terre, a different point of view..